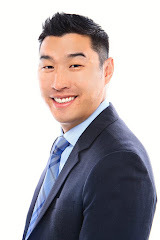 Alan Wang Realty Group Real Estate Blogger: Silicon Valley 2017 Real Estate Year in Review, 2018 Outlook and Tax Reform! Silicon Valley 2017 Real Estate Year in Review, 2018 Outlook and Tax Reform! We hope that you and your families had a wonderful winter break! Going back in time, 2016 ended with uncertainty about the presidential election. Yet those concerns were short lived as 2017 started and ended with record low inventory levels, record high property prices and we remain in a strong Sellers’ market in the Silicon Valley. The majority of the homes on the market garner multiple offers. Especially in prime locations, homes receive anywhere from 5 to 30 offers each, creating intense Buyer bidding wars. Prices increase on a weekly basis, with Buyers even more desperate than weeks prior. 2017 ended with some concerns about the changing tax laws, which we will break down. Tax reform will directly affect states such as California, as we have the highest home prices in the nation. However, we believe the impact will be short lived and the market should remain strong in 2018. Here is the breakdown of the Tax changes coming into effect that directly affect real estate. Remember that they will be applied to 2018 taxes the following year. Disclaimer: We are not Accountants or CPA’s, and we advise that you discuss your families’ specific use cases with the appropriate expert. This is a high-level view of real estate specific changes. Home Seller Profit - It is important to note that there is NO change to this provision. If you live in your home for 2 out of the last 5 years, joint filers can deduct up to $500,000 tax free or single filers can deduct up to $250,000 tax free. Mortgage Deduction – Previously, if you had a mortgage of $1,000,000 you could deduct that amount from your taxes. This amount has been reduced to $750,000. Property Tax Deductions – Also known as SALT (State and Local Tax Deductions): There was previously no cap on this; now there will be a $10,000 cap on this deduction. Equity Line Deduction – Previously a homeowner could deduct $100,000 from their equity lines. This is no longer the case, as this deduction has been eliminated. Change is difficult, especially to a system and rules that are complex and have been the same since 1986. We are pleased to see that Sellers’ profit gains have been left alone. The Mortgage Deduction was initially discussed to be $500,000 and they pushed this up to $750,000. This is not great and could have some Buyers tapering their home purchase prices by $250,000 possibly. The Property Tax Deduction cap is certainly not beneficial to homes over the $800,000 to $900,000 mark, as property taxes are usually at 1.25%. If a Homeowner is in Alternative Minimum Tax (AMT), they would not have had this benefit anyway. This would, however, affect Home Owners who are were not in AMT. The Equity Line deduction was always nice to have if you had a project you were funding; however, this has also been eliminated now. Homeowners who have room in their primary mortgage could refinance that into the first loan as long as it is under $750,000 to maintain the same benefit. In the short run, there could be a pause for Home Buyers as they digest the impact. However, given the demand from 2017, even if half of this group suddenly stopped looking for real estate, multiple offers will still be the case. Shelter is one the key foundations of our basic human needs. When we meet with clients looking to purchase homes, usually there is an additional family member on the way, more space needed for parents moving to the country, a need for yard space, a commute that is taking a toll, or a desire for better schools or a better neighborhood. Very rarely are taxes the reason Buyers purchase homes, although it is an added bonus to have a tax deduction. We may see a short-term halt from Buyers due to getting the facts around tax reform, but likely the momentum from 2017 will carry into 2018. Home Sellers continue to struggle with their next move and as high prices and competition make it extremely difficult to move up, Sellers are opting to stay put with a few moving out of the area. These new tax laws should have grandfather clauses for previous mortgages, which could further dis incentivize Sellers from moving. Low inventory levels will likely continue through this year and Buyer bidding wars will also continue, though hopefully at lower levels than last year to give Buyers a chance. If you are a Home Seller this will be an excellent year for you to sell your home once again. If you are looking to move up, we will have to have further detailed planning sessions on how to achieve this goal. If you are a Home Buyer, this market is not for the weary or conservative. The competition is fierce, cut-throat, and irrational. In order to compete you must first have the foundations of down-payment, additional reserves, the right lenders and above all be mentally ready to overbid. Comparable market data is barely just a data point; This is a bidding war and you must do what it takes if you want to win a house, or you will continue to chase the market and prices will keep rising. We are bullish on 2018 being yet another busy year for Silicon Valley Real Estate. As long as Technology stock prices continue to hold or increase, and job creation continues, the real estate market will continue to remain strong. We wish you and your families a wonderful 2018! Let us know how we can help you with your real estate needs! Taxation reforms change day by day so one need to be updated about latest rates. I want a hassle-free process to buy flat nearby. Will consult one of local agent here. Need to get income tax benefit on home loan loan facility to cut down my tax too.